A backwards-compatible upgrade to V8 5.1, and ~99% ES2015 coverage. This release also fixes some regressions introduced in v6.4. Using npm as effectively as possible can be difficult. Here is a list of 11 bite-size tricks to help speed up development. In recent Node releases, V8 was updated to version 5.x - here, we see how garbage collection is being affected en route to a new GC called Orinoco. Running insecure code is a liability. 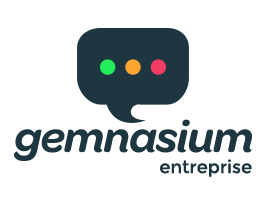 Run Gemnasium behind your firewall and find security issues in your dependencies as soon as they appear. We support npm, Bower, RubyGems, PyPi and Packagist for code on GitHub, Bitbucket, GitHub Enterprise. Using Node to create a custom query to ask Amazon’s Alexa voice assistant. No Echo required. Gergely Nemeth shares advice on how to get started threat modeling your Node.js application. Mikeal Rogers spoke with Rick Adams from Lowe’s about how they use Node. Resurfacing due to Dash buttons now becoming available in more places (such as the UK, this week).